Before you started a business, I’m sure you never considered how much writing it might involve. You may find yourself writing emails, press releases, blog posts, product descriptions, and marketing material. Sure, you can hire others to do the bulk of the writing in your business, but you need to have the budget for that. You also need to get clear on the voice and tone you’d like your brand to take. If you just hire random writers for different projects, this may not help your brand’s consistency. If you don’t have much of a budget to hire writers or just want to add the skill to your roster so you can better direct the type of content your business puts out, here are 5 ways to improve your business writing skills. Have you ever read something and was left wondering what the main point was? You don’t your audience to feel the same way when they come across content for your business. You want to make your writing relevant and eliminate the fluff. Introduce the main idea early on and perhaps even tie in current events that may be affecting your audience. People take time out of their day to read your content so always stay on topic to respect their commitment. Spouting bigger words doesn’t make you seem smarter. It just confuses your audience and comes off as unnecessary jargon. If you can something simpler, do it. Readers will appreciate clear and concise language so they don’t have to struggle to understand your core messaging. If you want to become a better writer, it’s important to outline your content before you actually start working on it. I’m a big of a long-winded writer myself and I know I can get off topic easy and sometimes I still struggle with effectively communicating my thoughts. To combat this, create a detailed outline to guide your writing. Include how you want to introduce the topic or solution to a problem, the main points you want to cover with supporting evidence, and a solid conclusion to wrap everything up. You want your content to take readers on a journey from start to finish. It should be organized, clear, helpful, and unique. Coming up with an outline can help you achieve this. What do you want readers to do after they finish reading your content? Your content should be a segway to help you gain trust with your audience and get them to take action. Do you want people to sign up for your email list? Purchase a product? Book a discovery call with you? Be clear with your call to action but also don’t be demanding or too salesy. You don’t want your writing to seem like one big advertisement. It should be helpful and educate your audience first. Once you provide value, then you can ask readers to take action. I don’t understand when writers don’t proofread their work. Your first draft is hardly ever as good as your final draft. Writing is a process and you want to develop your skill. You can’t do this is you simply brain dump your content and leave it as it. It’s important to proofread your work from a critical perspective to catch errors and smooth things out. You can also even work with an editor or proofreader who can review your content with a fresh pair of eyes. 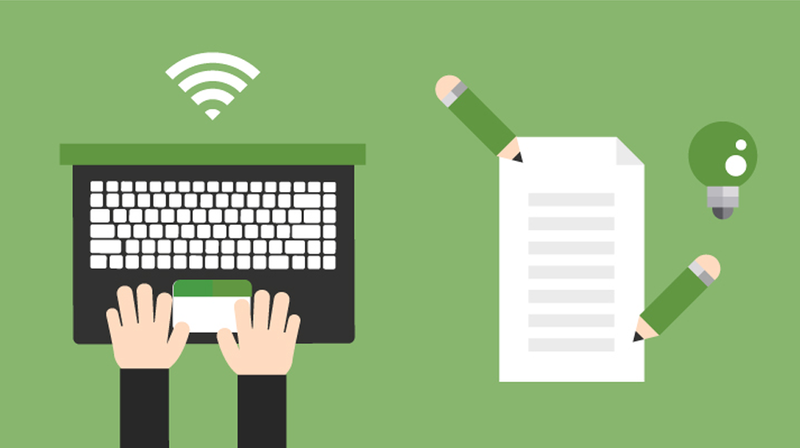 Writing quality content for your business is a must. If you don’t have the budget to hire a copywriter for everything, you can certainly work on improving your business writing skills.